I have always had this notion that to paddle via SUP from Miami to Bimini would be amazing. In my mind it would be one of those dead calm days in May when the Gulfstream is not clocking too fast. The brilliant blue of the ‘Stream would be a source of focus on the journey. Will I do it? I hope to – before too long. There is something about a “crossing” that is appealing to adventurers, often in the form of a race. I’ve enjoyed plenty of sailing races from Florida to the Bahamas and back. As a standup paddler, while I train hard to go fast and efficiently, I can’t seem to connect to racing as the main focus. There is such a fantastic connection between seeing the water, being outdoors, acknowledging currents, wind, waves and temperature that the journey is already full of challenges and opportunities to go hard and be my best. Being an “elder” has definitely brought new perspective. Since moving to Oregon a decade ago, trips to Hawaii are way easier to accomplish than trips to the Bahamas. Being aware of the connection to Hawaiian culture and waterman values right in my hometown of Bend gave me more than an enhanced vocabulary around tradition and the ocean. Several trips to the various Hawaiian islands we have visited opened my eyes to what should have been obvious. The culture of people whose history, traditions, stories and livelihood are connected to the earth’s waters, especially to the sea, have rich similarities. Whether an island chain is derived from volcanic action or eons of coral buildup, the people who protect their waters, their traditions and their culture are similar. Just as our move to Bend brought a lifestyle that is more connected to nature, more gentle in personality, it has provided connection with some amazing people. Purchasing my first standup board and Kialoa paddle was much more than the addition of a new sport to the quiver. Balance, yoga, friends, strength and new dimension to life in the high desert were bonuses to the sport and fun. 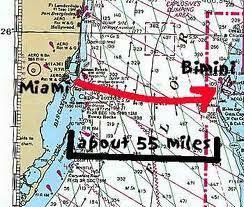 Journeys – like Miami to Bimini seem more attainable. Today I opened my Facebook and found this great interview from Bend’s own Gerry Lopez. The night before the Molokai Race he generously shared his time to chat about the race, about yoga and a terrifying experience at Pipeline – take the time to view the entire interview. This re-kindled the “crossing” wanderlust for me – definitely NOT in the form of a race! The idea of sharing the crossing with a group of friends, each completing portions of the journey toward a collective finish solely for the journey sounds amazing. Have any of you gone to the planning of such an endeavor? Safety and support with a “mother ship” and a group of like-minded SUPers and a crossing you’ve dreamt of completing – please share your stories and pictures. This Grandma will continue to paddle, train, focus and plan – maybe Molokai one day! Maybe something a bit more sane! If you haven’t completed your summer reading list (year-round good read) you will want to get SURF IS WHERE YOU FIND IT by Gerry Lopez. Good read while you plan your surf journey. Gerry Lopez interview at Molokai race from Zen Waterman on Vimeo. This entry was posted in Bahamas, Hawaii, Journeys and Quests by Water Words. Bookmark the permalink.